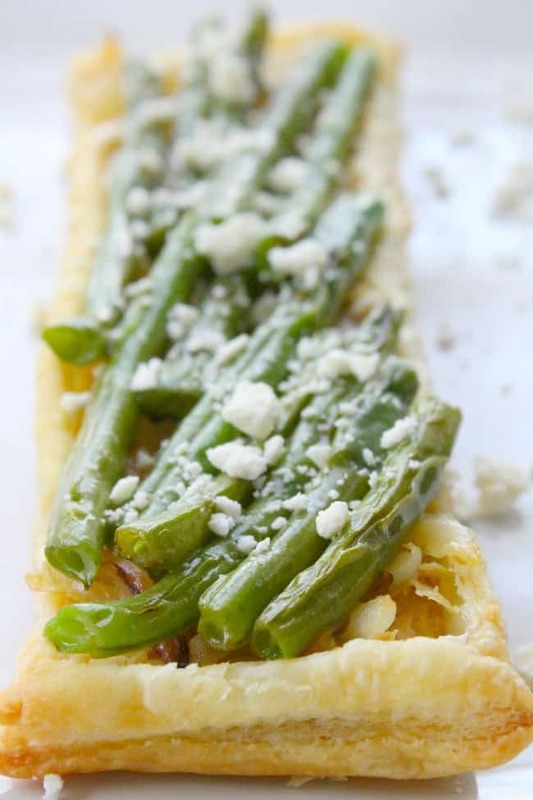 Grilled Green Bean and Onion Tarts Recipe is the perfect way to use seasonal vegetables. 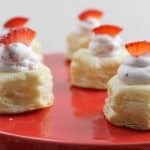 These make a wonderful side dish for any gathering! I feel like greens beans are an underrated type of vegetable. 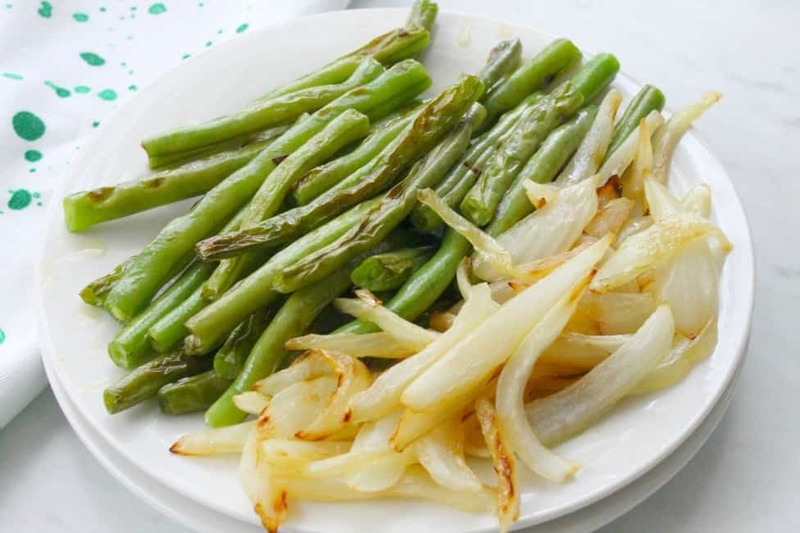 We see them as a side dish around the holidays or poured from a can into a pot of water. You don’t see much more done with them. Well because my kiddos love greens beans but they get tired of the same way to eat them, I mixed it up a little. If you don’t like green beans maybe you would like to try this homemade macaroni and cheese! I took fresh greens beans, since they are so abundant in the grocery stores right now, and cooked them two different ways. The first time I tried to broil them in the oven. My 5 year old was having none of that, but my hubby loved them. 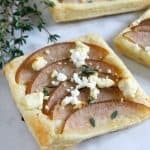 The next time I made them I decided to grill them on my grill pan with some onions and them topped them on puff pastry, then topped them off with feta cheese! You guys! Now this is my new favorite way to eat them! It was delicious! I felt like they were cooked just right, not too soft but not too hard. Also adding the onions helped bring out the flavor in these tarts. You take a bite and first your taste buds hit the feta, then the greens beans, next here comes the onions and finally puff pastry! It is a perfect bite! 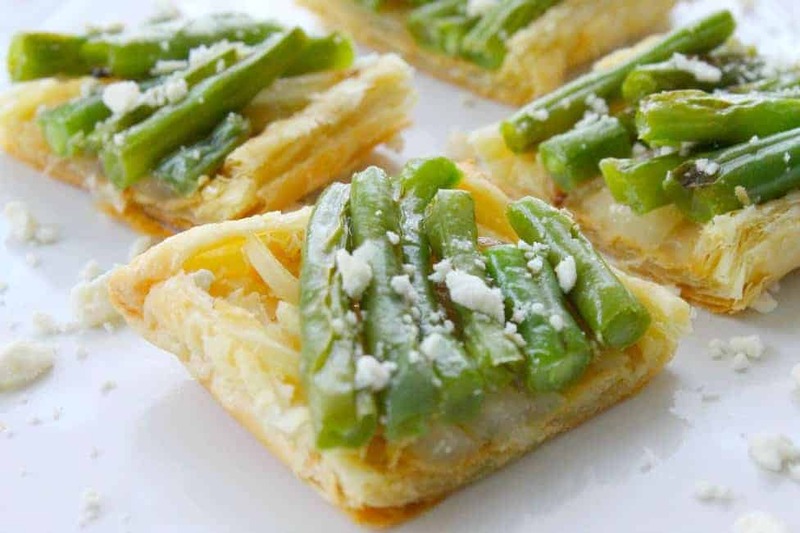 What is so great about these Grilled Green Beans and Onion Tarts Recipe is that by the time your puff pastry is cooked so are your veggies! 20 minutes is not bad to have an easy side dish! While I was making them I also started to think about fall and the holiday where greens beans tends to be one of the stars of the show, Thanksgiving! 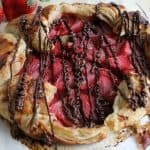 Wouldn’t this be a great new addition to your holiday menu! For another savory tart check out these Caprese Tarts. 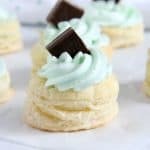 If you are looking for something sweet, how about these Key Lime Tarts! ENJOY!